The developer of a 36-unit apartment building at 233 Hancock St. in Dorchester has notified the BPDA it is planning to increase the number of affordable units from 5 to 10 and to restrict the rent on another 11 units - in part due to funding from a property-tax surcharge approved by Boston voters in 2016. Read more. The Board of Appeal today approved developers' plans to replace two auto-body shops at 233 Hancock St., near Pleasant, with a five-story, 36-unit apartment building that would also feature space for an art gallery. Read more. Barely anything left after FBI raid on Tuesday. 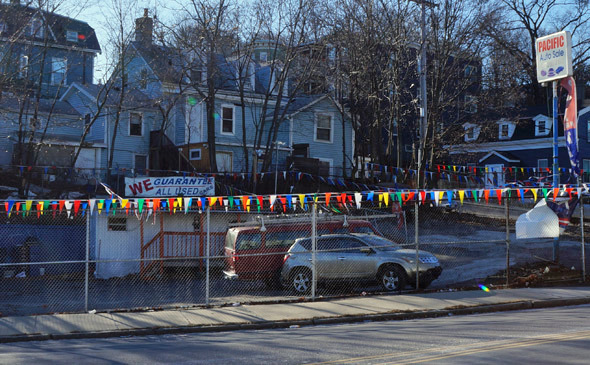 Take a look at a June, 2016 photo of the lot at Pacific Auto Sales, 221 Hancock St. in Dorchester, and you see a couple dozen cars, all under bright pennants. But, federal officials say, none of the cars were actually for sale - just their contents were. Read more. 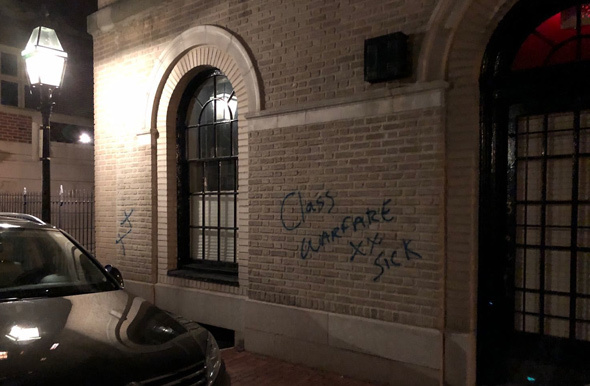 Around 9:30 p.m. on Hancock near Rill. Boston Police report a man in his 20s was shot dead around 11:35 a.m. outside 68 Hancock St. A passerby, a woman in her 50s, was shot in the leg and taken to a local hospital for treatment. Firefighters on roof. Photo by BFD. 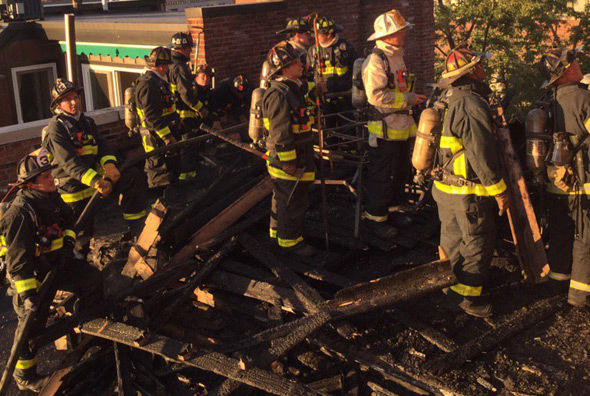 UPDATE: BFD says the fire started in a rooftop flowerpot, but that investigators don't know what set that on fire. A fire called in around 7:10 p.m. at 32-34 Hancock St. did an estimated $500,000 in damage, but caused no injuries, the Boston Fire Department reports. The four-story building has 16 units. Around 11:45 p.m. in the parking lot of the liquor store at Hancock and Trull streets. When police arrived there was nobody there; the victims, a man and a woman, showed up not long after at Boston Medical Center.